Tomato plant turns small worms into cannibals! For many many years I strongly believed that plants were helpless creatures, slowly trying to make some space for themselves between the concrete jungles and cultivated land that humans occupy. Dependent on the Earth, the Sun and the rains for their survival, plants were still toiling to give away to the world the sweet fruits of their labour and the precious oxygen that we simply cannot do without. But as I continue to read about plants while researching for this blog, I realized many things about plants. First and foremost, just like our own guts, they have their own microbiomes and work closely with other microbes for their own survival. 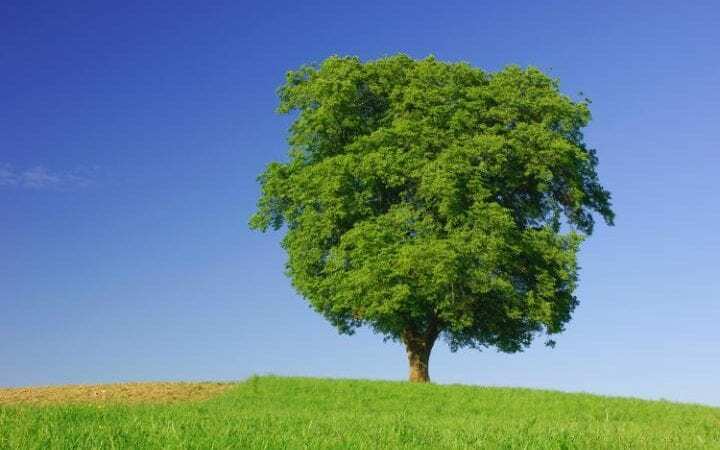 If that was not sufficient, I also learnt that plants can actually sense when a herbivore attacks them and can be quite patient with the herbivore, before they decide to release certain chemicals that make the leaves taste so awful that the herbivore probably does not want to eat it anymore. Although it becomes a tasty delight for us is a different story. Plants like maize can even go a step further and call for help from a different species altogether to stop a herbivore attack right in its tracks. But what I learnt today is an entirely different level of manipulation that the humble tomato plant is capable of. 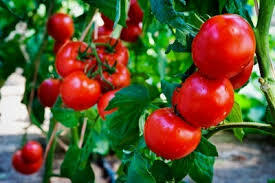 In a recent published study, researchers in the laboratory of Dr. John Orrock at the Department of Integrative Biology at the University of Wisconsin, Madison, found out that tomato plants (scientific name: Solanum lycopersicum) are capable of inducing cannibalism in their herbivore attacker Beet Armyworm (scientific name: Spodoptera exigua) by releasing just a few compounds such as methyl jasmonate and jasmonic acid. Before we dig deeper into the study, here are a few things you must know about the players involved. The Beet Armyworm is a nasty pest when it comes to cultivated land. Considered native to Asia, the pest made its way to the British Isles and even America way back in the late 1800's where it continues to wreak havoc on common agricultural produce such as beetroot, lettuce, potato, tomato, peas, beans, asparagus, tobacco and the list just goes on and on. The offenders are usually the larvae that have voracious appetites and can single handedly defoliate smaller plants. 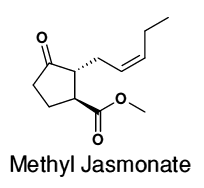 On the other hand, methyl jasmonate (popularly known as MeJA) is a volatile organic compound that plants release when they come under stress. The compound is quite versatile in its function and plays a role even in regular processes such as germination, flowering, fruiting and programmed cell death. But it is largely known for its work when the plant is wounded (mostly because its being eaten by a herbivore). Not only does MeJA help in restoring the damage, being a volatile compound, it is also released into the air as a signal to other plants to launch their defenses against a herbivore attack. Reception of a MeJA signal activates a host of defense systems that are included but not limited to production of antimicrobials and protein inhibitors that can stop bacterial invasions or mess up with pest guts to make the plant inedible. There is also a report of using MeJA as a mode of treatment for selectively killing cancer cells (an interesting story for another day). Overall, MeJA is highly useful weapon in the plant arsenal that is does not shy away from using as and when required. In the study, conducted by the Orrock Lab, tomato plants were given MeJA treatments of various concentrations and then armyworm larvae introduced to these plants. Since the plants had sensed MeJA earlier, they had their defenses ready, which made the leaves less edible for the worms. The researchers then introduced flash frozen larvae to the experimental environment and found that living larve preferred to eat the dead worms over the living plants as seen in this video below. No wonder we don't like eating our veggies! The researchers measured two aspects, cannibalism and left over plant biomass against increasing dosage of MeJA treatments and found both to be incremental with the dosage, thereby showing that higher concentrations of MeJA not only make the plant inedible but also increases the chances of the armyworm devouring its own kind rather than the plant. The induction of cannibalism in an attack scenario has multiple advantages. When the invading army starts killing it own men, there are fewer people that the defense has to take down and can withstand the attack much longer, thereby, giving it more time to work out other alternates. Since the foliage is no longer attractive to the attacker, the plant now has resources to build up its defenses and can hold fort much longer unlike the attacker whose forces are dwindling. If you can add another dynamic of a bacterial or viral infection, then cannibalism can aid in faster spread of the infection that will further reduce the might of the herbivore attack. 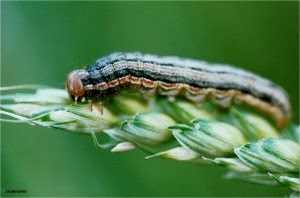 Since the armyworm is a known pest, these findings open up a whole new world of possibilities of handling pests in more sustainable ways rather than using oil based pesticides or even trying to genetically inject foreign genes to increase crop resistance.